Part of the show Could The Internet Die? Terraforming we always talk about Mars. This would entail enormous inputs of time, money and resources. But why not Venus, with its gravity the same as ours and plenty of Co2 for oxygen and water formation? The 450deg Centigrade and 90 times pressure would, of course, be a negative. But if our geologists are to be believed, this was similar to Earths atmosphere...? Stuart - It's a really interesting question. Maybe I should set out to start off with that terraforming is this hypothetical idea that we could go to another planet and somehow do a very large scale engineering project that would change the environment into a living habitable environment a bit like the Earth. So people often think of going to Mars and trying to give it an atmosphere and this is a good question, why not Venus? It's a planet that is a very similar size to Earth, it has 90% of the gravity so it would be similar in that respect. But actually it's almost highlighted in the question, it's a real problem in terms of the energy required. 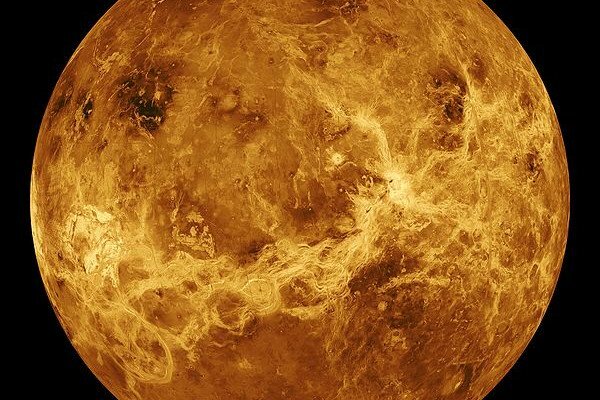 Venus is a very chaotic environment it's got an atmosphere made of 95% carbon dioxide, it's incredibly high density so on the surface of Venus the pressure of the atmosphere pulling down on you is 92 times the pressure on Earth. Chris - That's just because there's so much gas in the atmosphere weighing down on you on the surface is it? Stuart - There is there's just so much carbon dioxide in the atmosphere and as a comparison that's like standing 900 metres under the surface of the sea so there's huge pressure you'd get crushed. Kat - You'd get squished basically. Stuart - Also the temperature on the surface, it's about 450 degrees celsius. It's hotter than your oven on the surface. Kat - So you're effectively a pancake? Stuart - Yeah, you're a pancake on the surface there. Chris - How did all that gas get in the atmosphere in the first place? Why's the Earth not like that? Stuart - That's a really interesting question. So there are arguments around whether different planets, say Mars or Venus, were more like the earth in times gone by. One of the issues actually, or one of the big difference between Venus, Mars and the Earth is that the Earth has a magnetic field. And that's because we have convection currents of materials in the earth's core that create this magnetic field and that protects us from something called the solar wind and the solar wind is basically a lot of highly energised particles flying off the sun and striking the atmosphere of the Earth and the magnetic field in our case protects us from that. In the cases of Venus and Mars that's not there to protect it so, even when you do get things such as oxygen forming those molecules can be bashed into by the solar winds and taken off into space so they wouldn't even collect them to start off with. Previous Why do we get more nose hair as we get older? Next Would immunotherapy work for other cancers? What would happen if I peed on the moon?